If there is any news about the airport, local flying and aviation, you will hear about it here first! See below for our latest news and information. It's here! 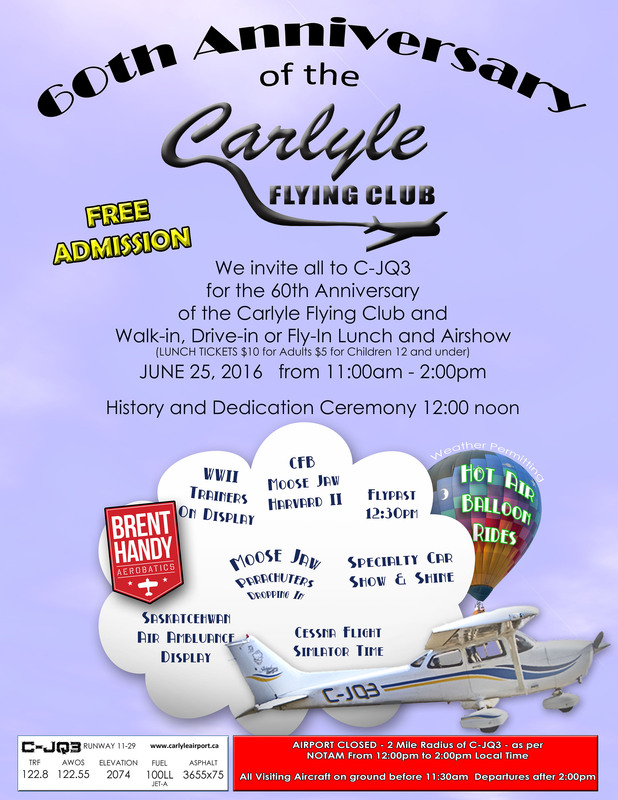 This year's annual Fly-In is going to be a special celebration, it's the Carlyle Flying Club's 60th birthday! On this page you will find all the info you need! Ex-F18 and active Snowbird pilot, Brent Handy is coming to Carlyle this year! Here is a sneak-peak of what you will be seeing from the SkyDive South Sask team in our airshow. A few jumpers will be jumping from 8000 feet over the airport. Flyday Friday is taking off! 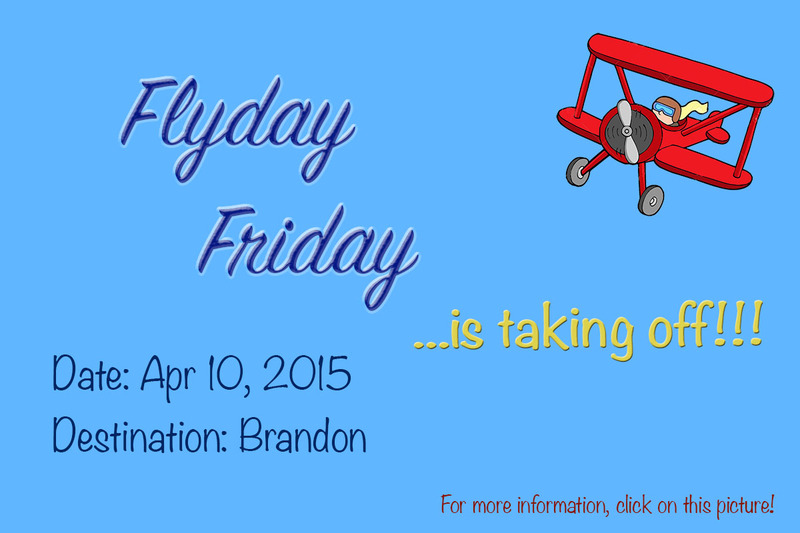 So Friday's looking like a good day to try out the first Friday flyday. Brandon is the destination and an arrival around 10:30 CST and go do brunch somewhere. We have planned to do a tour of the aviation museum when it opens at 12:00 CST. If you want to stay. There will be some action at the Carlyle clubhouse starting at 0830 Friday. Pass the word. A small plane bound for Brandon, Man. was forced to make an emergency landing near a runway in a small community northeast of Regina, Sask. Friday afternoon. 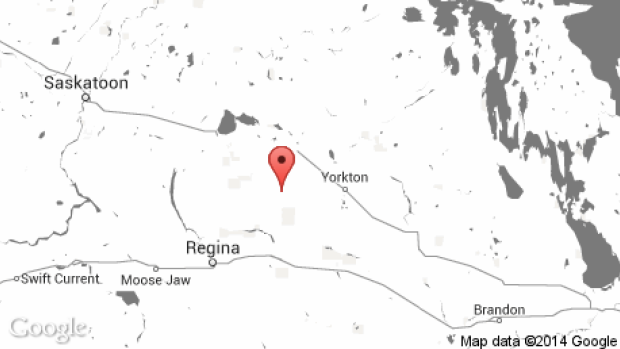 RCMP said they were notified at 2:30 p.m. that a fixed wing, prop aircraft was forced to make an emergency landing near a runway north of Ituna, Sask. The plane was travelling from Spruce Grove, Alta. There were no details available on the number of people on board. RCMP are investigating, as well as Transportation Safety Board officials in Winnipeg. Carlyle Flying Club is on ForeFlight! 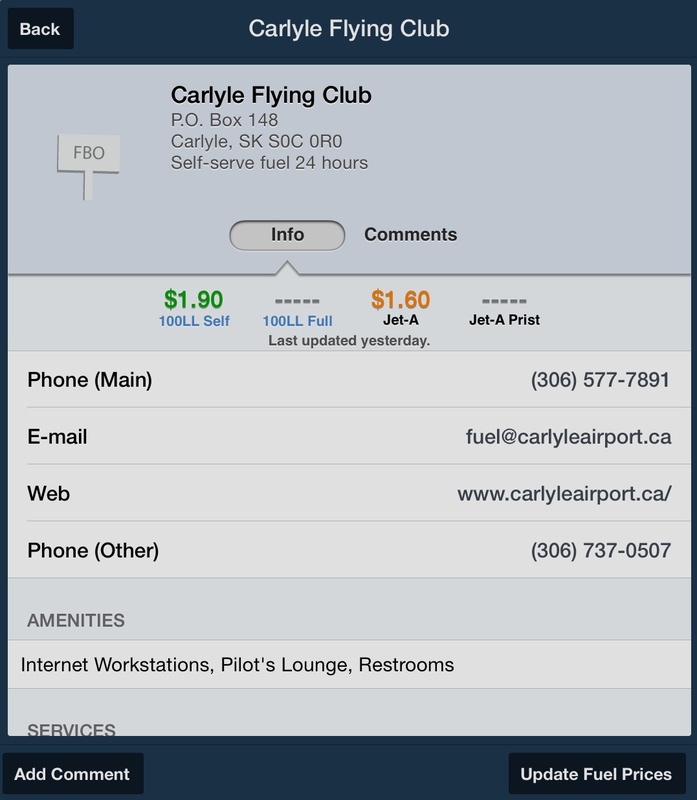 As of today, Carlyle Flying Club's information can be found under the FBO section in Canada's most popular aviation application; the Foreflight. Fuel prices are going to be updated frequently, with all the other information. If you have any questions about the application, email us! 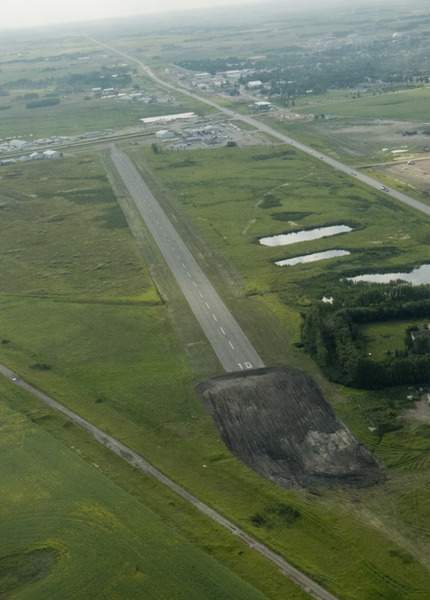 Work has already begun on phase one of Carlyle’s airport runway expansion. The final plans are to extend the runway to 5,000 feet from its current 3,153 feet which would grant Ted Brady Municipal Airport regional airport status. The Carlyle Airport Commission- whose members include The Town of Carlyle, the R.M. Of Moose Mountain and the Carlyle Flying Club- have both a proposal and a plan to lengthen the town's airport runway to 5,000 feet from its current 3,153 feet. This allows the runway to accommodate jet aircraft with a 75-foot wingspan, granting the Ted Brady Municipal Airport the designation of regional airport, as well as bringing added economic, social and medical benefits to the area, according to Blair Andrew, co-chair of the Carlyle Airport Commission. Expanding the current 3,153 ft. asphalt runway so that it could accommodate jet aircraft would be accomplished largely by purchasing land from a private landowner. This would add 1,500 feet to the current runway to the west. The first of two phases of construction is already underway. A 500-foot extension is currently being built on donated land and will house a weather station. During these two phases of development, lighting upgrades and improved GPS will also be added. Carlyle Airport's Automated Weather System is running! As of August 8, 2014 the Automated Weather System is up and running! Automated Weather System provides real-time weather information to enhance aviation safety and efficiency. The system gives essential information about the airport weather conditions, helping pilots to make the right decisions before and during the flight.